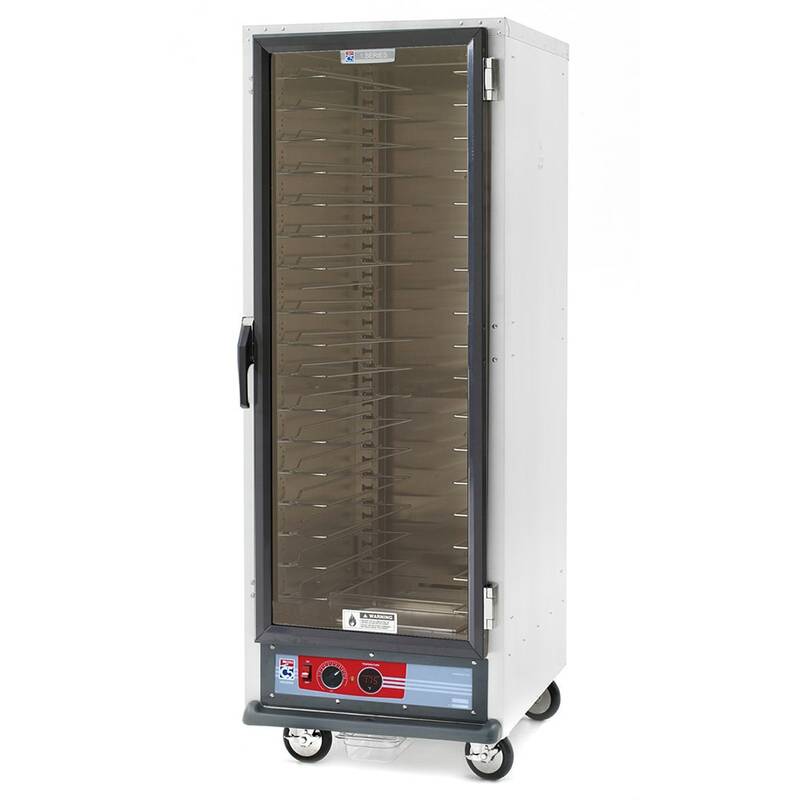 The Metro C519-HFC-U heated holding cabinet is used for holding hot food at higher temperatures without specific moisture control, although the cabinet does provide passive humidity to maintain your food's fresh texture. Heat up and recovery is quick with the thermostatically controlled forced air convection system. The polycarbonate doors are full-length and clear so you can easily see into the cabinet and check on food without compromising the heat holding process. High-temperature, Santoprene gaskets are mounted on the door to keep heat inside the cabinet. Hinged on the door are field reversible for your convenience. Pans sit on universal slides in this heat holding cabinet. 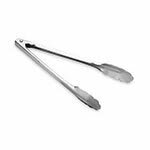 The slides are 1⁄4 of an inch in diameter and are made of nickel chrome electroplated wire. The universal slides are on 11⁄2 inch adjustable increments. 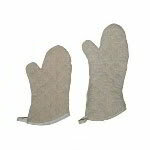 They can hold 18 pans that are 18 inches by 26 inches or 34 pans that are 12 inches by 20 inches by 21⁄2 inches. There are 18 slide pairs provided but the maximum that can be held are 37. The cabinet's control module is easily removable to make cleaning the cabinet simpler. 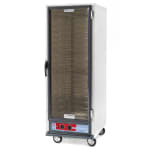 The Metro C519-HFC-U heated holding cabinet is a full-height cabinet measuring 693⁄4 inches tall. Holds 18 pans measuring 18 in. x 26 in. 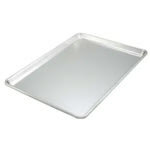 Holds 34 pans measuring 12 in. x 20 in. x 21⁄2 in.